From "Can algae save the world?" an exhibit at the Science Museum in London running until April 2008. 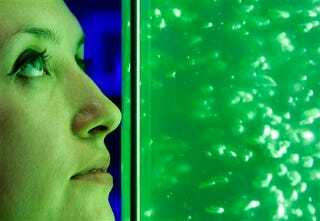 Scientists are hoping the entire planet will use algae as biofuels in the future. More menacing algae after the jump. Images by Kirsty Wigglesworth for AP.